Speaking to individuals and groups is my absolute joy and passion. Each time I speak, my prayer is that God would use my words to encourage, uplift, inspire and challenge audiences. If you are looking for a speaker for a conference, retreat, workshop, special service or meeting, I would be honored by the opportunity, and would be happy to speak on your chosen topic, theme or Scripture. I recently spoke at all three services of Mother’s Day Weekend at Journey Church in Bozeman, Montana. Take a look! Finding God in the Life of a M.O.M. from Journey Church on Vimeo. Thanks so much, Kristen, for being with us this weekend…what a treat it was! We’ll certainly not be bashful about asking you to be back. It’s a treat to serve the Lord with you…thank you again…you did a STELLAR job! Thank you so much for coming to our Spring Delight. I know that lives have been affected for Christ as a result. Praying that the Lord continues to use you in the lives of women! 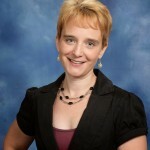 Kristen Marble brings both keen passion and great depth of knowledge to her presentations. An exceptional speaker, she educates her audiences very well on a wide variety of issues and always hits the ball out of the park on family-related topics. A woman for all seasons, she is well received by men, women and couples. Kristen Marble has demonstrated exceptional speaking ability in her presentations. Her clarity of thought with sound reasoning leads her to very strong conclusions. She demonstrates excellent evaluation skills and has great ability to think on her feet. She incorporates humor, logic and personality in a refreshing presentation. She has a great speaking voice with eye contact that makes you think she is talking directly to you! We were blessed by Kristen speaking at our Mother/Daughter Night Out. I think you could give Kristen any topic to speak on and she could. She truly has a heart for God and for ministering for Him. Margaret and I truly enjoyed Kristen’s presentation at our Good Friday Service. It was to the point yet made you think for yourself! What a refreshing experience it was. We were blessed and touched by the heartfelt message she gave. I would recommend Kristen for any occasion and any topic. Her heart is seen also in the lives of her ten precious children as she teaches them daily the truths of God’s Word. We are thankful for her friendship and excited about what God is doing through her. Kristen will bring glory to God and a blessing to all who hear her. If you are looking for a speaker for a one-day, or multi-day event, I would be honored to have the opportunity. Please email me at Kristen@KristenMarble.com for scheduling details.